My GPS Smartwatch Doubles As A Toaster, What Do You Want To Know? I just got one of the new Garmin Epix touchscreen, GPS navigator smartwatches in for review. I do not have slim wrists; this thing is HUGE. How would you like to see us test it? Over the next few weeks, we’ll be using this watch for mountain biking, hiking, hunting and just laying around the house. This is your chance to influence our methodology and ask for specific tests. Within reason, your will is my command. Initial impressions are a) this thing is HUGE b) the actual display screen is disappointingly small c) the touch screen functionality is limited and d) this thing is HUGE. 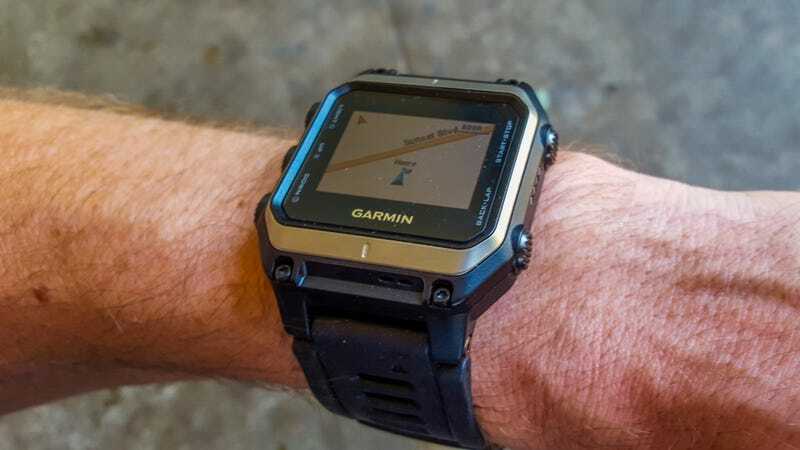 But hey, it’s the only smartwatch that bakes in real, highly detailed GPS navigation, complete with worldwide topo maps. Fall out of an airplane in the middle of nowhere? This is the only watch that will help you get home.